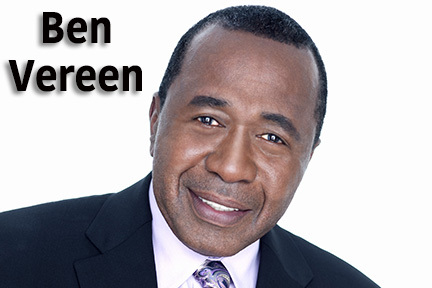 Ben Vereen’s legendary performances transcend time and are woven into the fabric of this country’s artistic legacy. Ben’s performances on stage, screen and television continue to inspire and influence artists of all ages. Ben’s artistic quality has always been fueled by a passion to channel the arts for a better world. His journey has taken him to the Broadway stage where he starred in Pippin,which garnered him both the prestigious Tony Award and the Drama Desk Award for “Best Actor in a Musical”. He has also starred in Wicked, Hair, Fosse, I’m Not Rappaport, Jesus Christ Superstar, Grind, Jelly’s Last Jam, The Prodigal Son, Sweet Charity, Golden Boy, Gurton’s Apocalyptic Needle, No Place to be Somebody, Chicago, The Exonerated and A Christmas Carol. Ben is currently developing a new show for Broadway that will open next season. Ben continues to tour the world with his one-man show, Steppin’ Out With Ben Vereen which receives rave reviews internationally. In this platform, Ben was the first simultaneous winner of the “Entertainer of the Year,” “Rising Star,” and “Song and Dance Star” awards from the American Guild of Variety Artists (AGVA). He also earned a coveted spot in the Casino Legends Hall of Fame. On the big screen, Ben can be seen in the movies Sweet Charity, Funny Lady, All That Jazz, Idlewild, Why Do Fools Fall in Love, The Zoo Gang, Buy & Cell, I’ll Take you There, The Painting, And Then Came Love, Tapioca and Mama, I Want to Sing. He did voice overs for the animated movies Khumba and Once Upon a Forrest. Ben most recently co-starred with Chris Rock in Paramount Studios’ feature film TOP FIVE and with Richard Gere in the film TIME OUT OF MIND, which premiered at the Toronto International Film Festival.